Windows and Linux have for years, been rival development and runtime environments used by two distinct development communities – .Net vs. J2EE. But no one told the enterprise this. Both environments are commonly used by nearly all organizations to develop and execute the applications that run their businesses. As applications are modernized, containerised and deployed across multiple clouds, IT and business leaders increasingly expect the IT vendors and service providers they use to do more than just coexist. They expect partnerships dedicated to customer success – and none more so than among the two leading vendors in each community, Microsoft and Red Hat. How to overcome common challenges of application modernization, infrastructure management, and cloud deployment. The partnership, and capabilities enabled therein, between Microsoft and Red Hat. 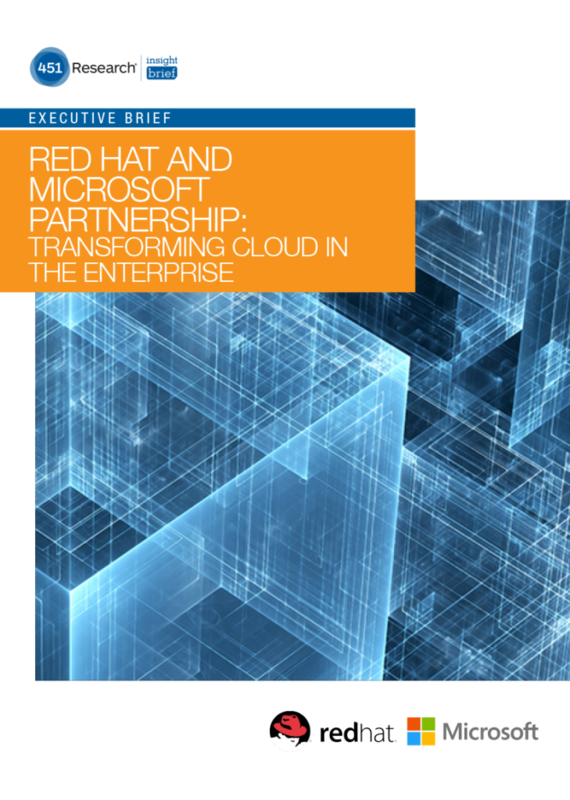 How Microsoft Azure and Red Hat ecosystems support and complement each other. Distilling key insights from 451 Research’s co-hosted webinar, ‘Red Hat and Microsoft: Partnering to bring Enterprise Customers to the Cloud’ this concise briefing document provides the busy professional with valuable insights in a quick, easy-to-read format.